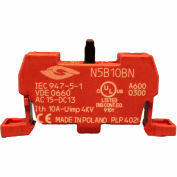 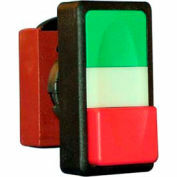 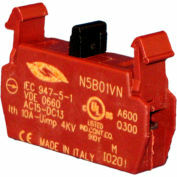 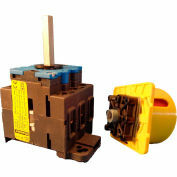 This double push button can be configured as an on-off switch, function change-over switch e.g. The top, green with white "l", button is flush with the housing and the bottom, red with white "0", button extends beyond the housing. 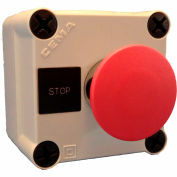 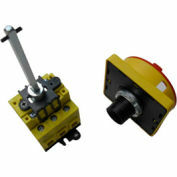 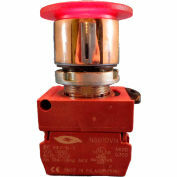 This push button is designed for use with 22mm panel applications. 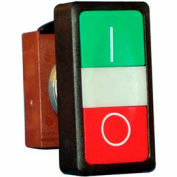 Both a clear lens and an opaque black dividers are included with the pushbutton to allow for button illumination. 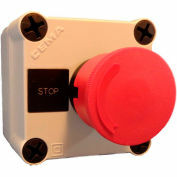 Please reference the list of compatible contacts to configure the button for your needs. 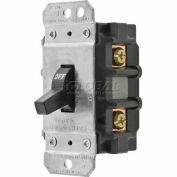 Your review: Easy install, works great very affordable. 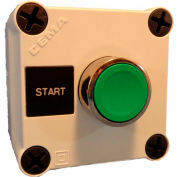 good replacement for those hard to find controls on grain driers.